Brad Womack is an idiot. I can't believe I'm blogging about this, but I'm kinda pissed about who the Bachelor picked last night. Let's get real for a minute, I had never watched an episode this season until last night when I went over to a good friend of mines house for some gnocchi, cheap rose and the Bachelor. How the heck did I get so emotionally invested so quickly? Now I understand all my friends who say, I started watching it and now I can't stop. I'm on your side now ladies. I get it. But really Brad ? Emily? I know there may be people who disagree, but I just don't think she was ready for it. Lord save me when the Bachelorette comes on. 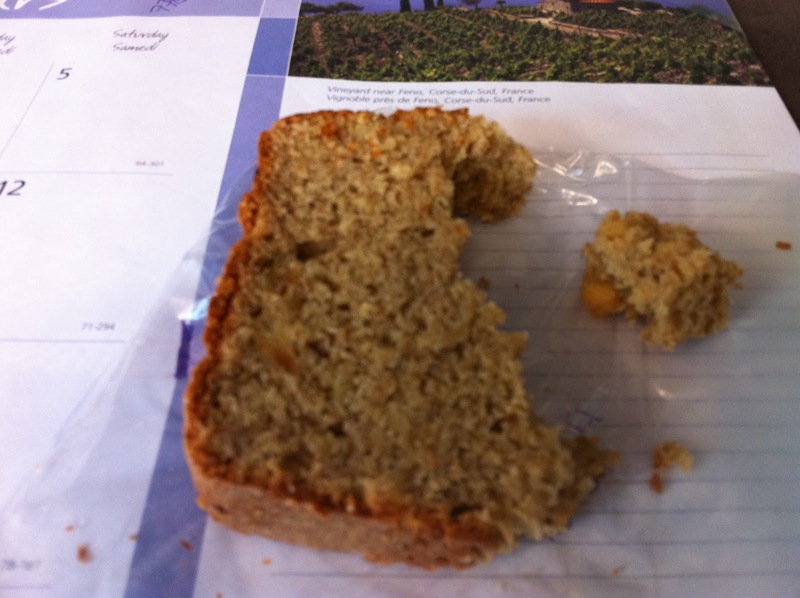 Non-bachelor related items, earlier in the week I eluded to this lovely quick bread, it was just a tease I know. It was a by-product of a MB and me baking day. And it was beyond expectation. Peanut butter with banana in a somewhat healthy backdrop. This might be one of the healthiest things I've posted. Low fat yogurt, whole wheat flour, flax meal. Don't fret, it's still beyond amazing, no one will know you didn't use half a pound of butter. This bread is more banana than peanut butter, but you do get the crunch of the chopped peanuts inside the bread and the top is crunchy sweet. It's a very moist, rich bread. Perfect for morning coffee and afternoon tea. Reposition rack to center of the oven and preheat to 350 degrees. Butter and flour a 9x5-inch loaf pan, set aside. In a large bowl, whisk together the flours, flaxseed meal, baking soda, salt, cinnamon and allspice. In a medium bowl, mix together bananas, yogurt, peanut butter and melted butter. Mix well and then add eggs and sugars. Mix well so no lumps remain. Pour banana mixture into flour mixture and fold together with a rubber spatula until no dry bits remain. Batter is super sticky, so it may takes a few turns. Fold in chopped nuts and pour into prepared loaf pan. Bake for 55 - 65 minutes or until a tester comes out clean. Ours was done right at 60 minutes, so start checking at 55 minutes. Remove from oven let rest rest on a wire rack for 20 minutes. Run a butter knife along each edge and turn out loaf onto a wire rack to cool completely. work snack. nom nom nom. Bread can be stored at room temperature, well wrapped, for up to 4 days. But if you're hanging out with peanut butter crazy pregnant ladies (like MB), I doubt it will last that long. All text and photos © 2010 - 2011. Powered by Blogger.